Advances in computers and engineering technologies have been able to uniquely blend with Chiropractic in order to both analyze and treat the human body in such a way that had never before been possible. COMPLEX TECHNOLOGY, SIMPLE SOLUTION. The Sigma Ultralign !! You can achieve improved health for your body now and in the future beginning with a simple anatomical concept. That the nervous system (the brain and all the nerves) control and coordinate every function of the body. If this network is interfered with, pain can ensue, as does bodily malfunction, vertebral subluxations develop often resulting in lack of wellbeing and diminished overall health. You can improve your daily performance and the health of your nervous system by having a Doctor of Chiropractic use the Ultralign equipment to analyze your spine and restore its proper function without any worries. COMFORTABLE, COMPUTERIZED AND CONSISTENT. 1. The Ultralign is very comfortable for patients of all ages due to the fact that there is no application of manual rotation or thrusting forces. 2. The patient is seated in a comfortable chair in an upright position without the need to turn and twist the head or neck. Thus, this greatly reduces any issues associated with osteoporosis, vertebral artery conditions or other concerns regarding manual therapies. 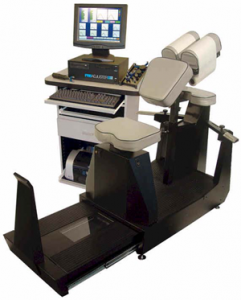 Spinal motion analysis has been taken to an entirely new level and is recorded before and after each treatment to oversee the patient's progress and course of care. 3. The Ultralign utilizes a precise measured oscillating force with uninterrupted motion. It is thus able to increase the motion of the spinal segments by reducing fixation and restoring mobility comfortably, resulting in the restoration of normal nervous system tone. 4. Soft tissue conditions such as trigger points, tendonitis, and muscle stiffness also respond well to the percussion of the Ultralign providing comfortable pain relief, stronger muscles and increased ranges of motion. Our patients love it. As per the McMaster Contemporary Medical Acupuncture website, acupuncture is defined as "a system of diagnosis and treatment based on a comprehensive Chinese theory of energy balance. The treatment involves insertion of small, sterile needles into precise anatomical sites in the body to produce therapeutic effects." 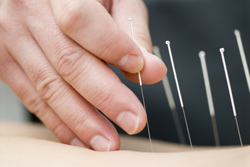 The benefits of acupuncture are wide-ranging and profound. Through a chiropractic scope of treatment, acupuncture calms the nervous system, speeds up healing, and corrects musculoskeletal system dysfunction. As per McMaster's website, acupuncture is also described as being a useful adjunct treatment to be included in a comprehensive health management program for a host of other conditions, such as: nausea, vertigo, scar rehabilitation (including c-section and post-operative scars), headaches, low back pain, menstrual cramps, osteoarthritis, carpal tunnel syndrome, and so much more. Every alternate Monday @ 7:15 in office @ PFC. Dr.Jerry Morris has designated six distinct basic requirements of lifestyle that protect Your health and prepare Your brain and Your body for optimum performance and productivity in all aspects of Your life. 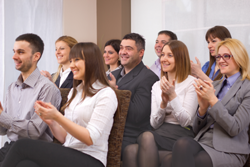 We offer this innovative program as an office workshop, as a lunch and learn at your company/business or during individual wellness consultations. In as little as 4 weeks You will experience a significant improvement in energy, fitness, strength and productivity. 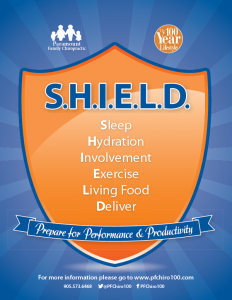 You will learn each of the six elements of "S.H.I.E.L.D", and easy to apply strategies to implement efficiently. Dr. Morris will provide the support and tracking tools to help you take Your program and integrate it into your daily life.